The year is 1997 and the world is in trouble. It needs to explore new lands because of over population. The Robinson family have been chosen for an amazing experiment. They must travel from Earth to a new land millions of miles away in space. It will take over five years to reach Alpha Centori. But there are foreign powers who don't want the Robinson's mission to succeed. Colonel Zachary Smith is a foreign agent, on a mission to sabotage the Jupiter 2. He programmes the mechanical Robot to destroy the spacecraft eight hours into the mission. But with just minutes left to the maiden flight of Jupiter 2, Smith finds the Robot has been powered down. He rushes below deck to sort the problem, but time has run out, the hatch has been closed and Smith has just seconds before take-off. Colonel Zachary Smith screams from the massive g-force on his body as the Jupiter 2 launches itself, leaving the planet Earth far behind. But his presence has left a danger. His added weight has unbalanced the flight path of the spacecraft. And Jupiter 2 is being bombarded by a meteor storm, placing all on board in danger. Smith releases the pilot, Major Don West from his frozen state, and thanks to Don's skill the Jupiter is saved. He revives the Robinson family; but with the radio smashed and navigation system damaged, they are all, Lost in Space. You have just taken off with one of the best Irwin Allen productions ever. 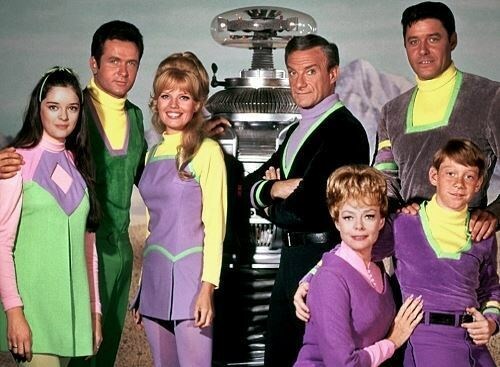 Ran for three seasons from 1965 to 1968, over 80 episodes. The first ever pilot episode did not include Doctor Smith or the Robot. And the spacecraft was called Gemini 12. 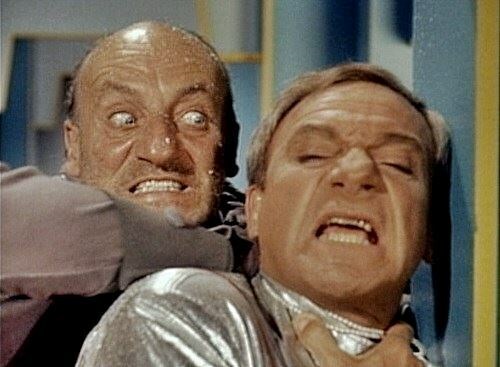 But Jonathan Harris who played Smith, made the series, along with Will and the Robot. Many of the stories relate to these characters. Full of monsters and the stories are great with humour and action and it was brill at the end of an episode when someone or all was in great danger. Would they survive. To be continued next week...same time...same channel.